It can be incredibly satisfying when you are able to complete work around your house on your own, not to mention the fact that it can save you a significant amount of money since you don’t have to hire a professional contractor to do it for you. While there are plenty of home projects that you can do on your own safely, there are also some that should not be performed with your hands, and repairing your roof is one of those. 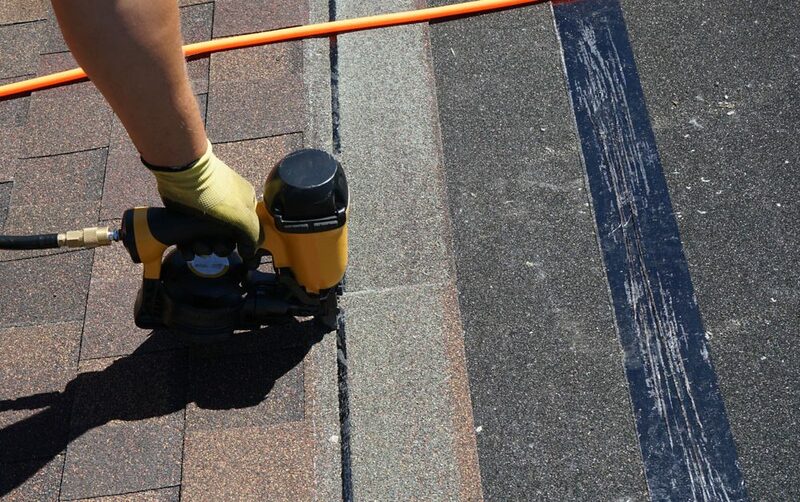 Here are three reasons why roofing projects are considered dangerous DIY jobs. When you need to repair or replace your roof, it requires that you climb up a ladder and remain on the roof underneath the rays of the hot sun for numerous hours at a time. Even if only minor repairs are required, you will still be required to haul heavy tools and materials up the ladder and walk on an inclined roof, which poses very serious safety hazards. If you do not have the proper training for something like this, then it is recommended that this type of job be left to professionals to eliminate the risk of injuring yourself. Working with an expert like Bullard Roofing will ensure that you and your family remain safe. Your roof is responsible for protecting your home and family from the elements—day and night. Because of this, it is vital that your roof remains in tip-top condition. The moment that you notice there are problems with your roof you need to properly repair them; otherwise, they can lead to extensive and expensive issues down the road like leaks and mold growth that could potentially affect the interior of your home. As experienced roofers, we have the proper equipment and training to ensure that your roof is repaired and/or replaced in a flawless and timely manner. As a general rule, the majority of roofing products will come with a warranty that covers manufacturing defects as well as labor. These warranties will include fine print that typically states that the warranty will become void if an individual other than a qualified roofing contractor performs any kind of work on the roof. Manufacturers do this in order to protect the roof from potential damage that can be caused to the roof by a substandard do-it-yourself job. Help ensure that your home is constantly protected by contacting the roofing professionals at Bullard Roofing for quality and professional roofing services.